An al-Qaida propaganda pamphlet has listed the Air Force Academy and the company that makes Predator drones as potential targets for terrorist attacks. 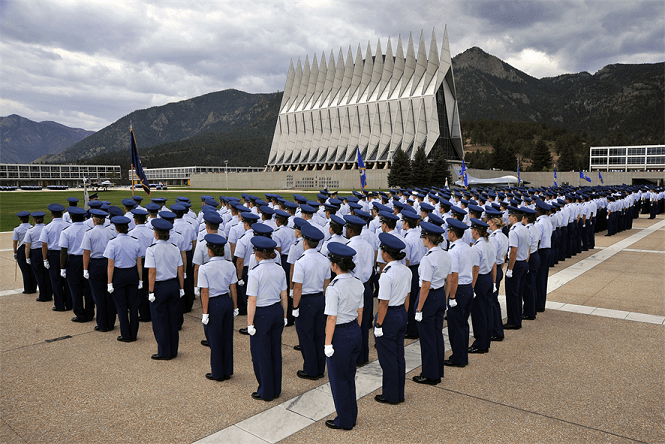 Fox affiliate KXRM-TV in Colorado Springs first reported on Thursday that the publication from Al-Qaida in the Arabian Peninsula listed the Air Force Academy as a target as part of an article explaining how to make car bombs. In addition to the Air Force Academy, the suggested targets in the U.S. are the San Diego headquarters of General Atomics and Affiliated Companies; Georgia Military College in Warner Robins, Ga.; Times Square in New York; and oil tankers and trains. The Air Force Academy released a statement saying it is aware that it was among targets recommended in the al-Qaida publication.